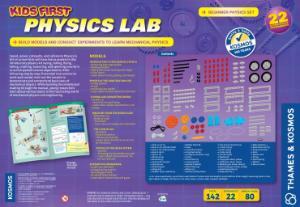 Speed, power, catapults, and collisions are all part of this beginner's physics set. 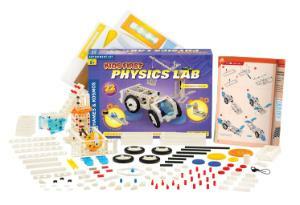 The set includes 20 models and 22 science experiments. 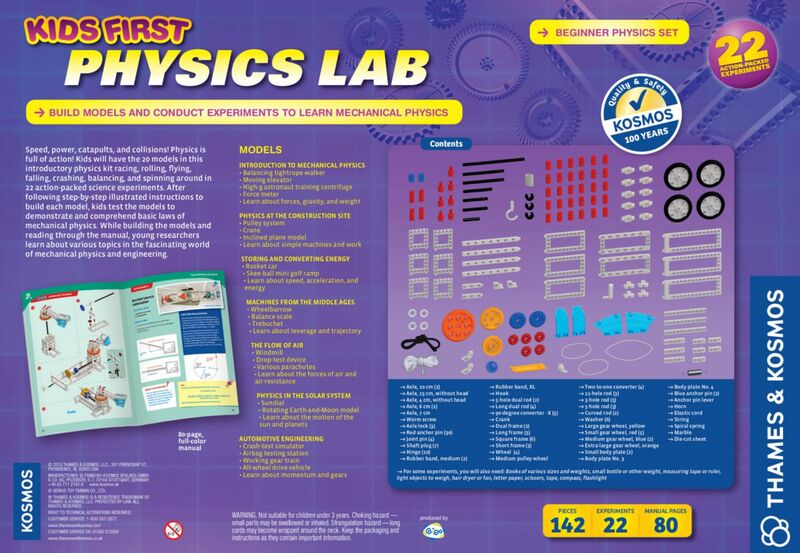 After following step-by-step instructions and building each model, kids test the models to observe basic laws of mechanical physics. While building the models and reading the manual, young researchers learn about various topics in the fascinating world of mechanical physics and engineering. They can build a balancing tightrope walker, a moving elevator, and a high-g astronaut-training centrifuge to learn about forces, gravity, and weight. 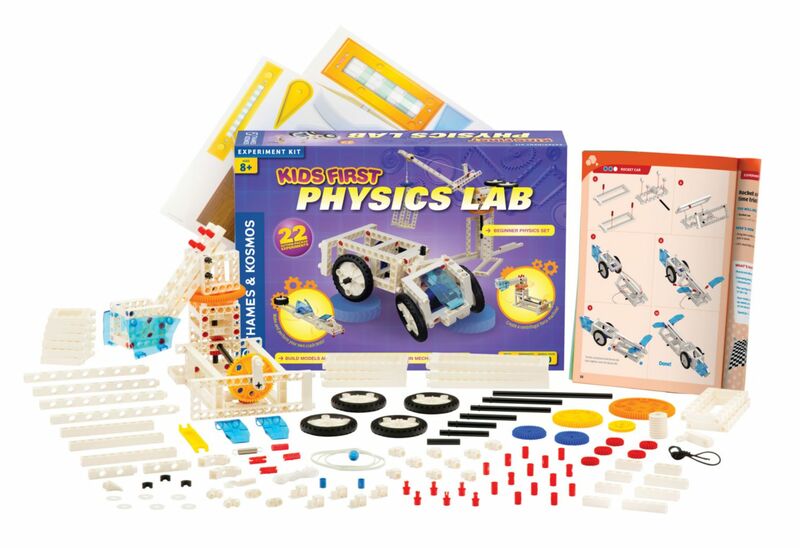 They can learn how to measure forces by building a force meter and experiment with storing and converting energy by constructing models of a rocket car and a mini golf ramp. 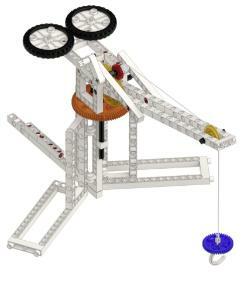 To learn about how levers have helped people work, students can also assemble three machines from the Middle Ages: a wheelbarrow, a balance scale, and a trebuchet. 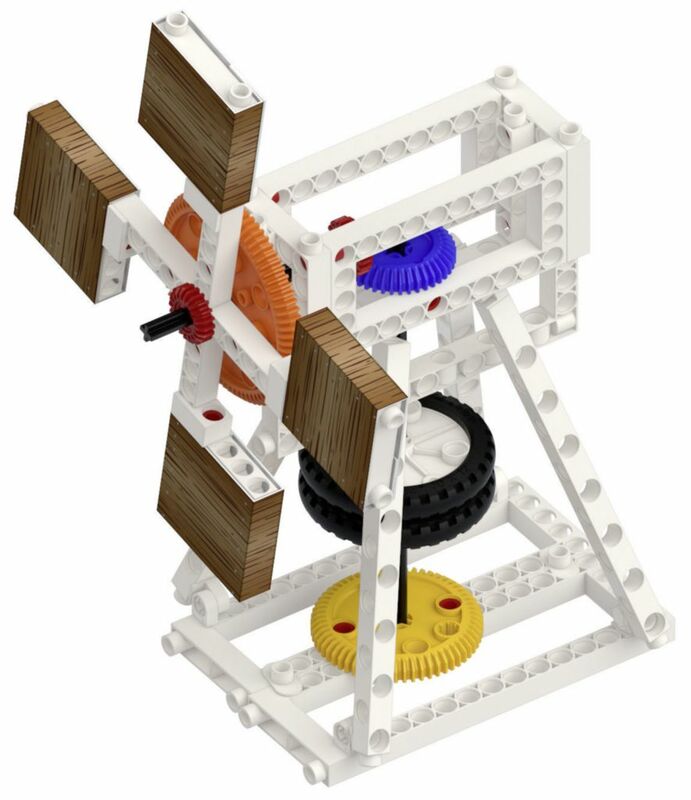 Other activities include building a windmill, a drop-test device, and various parachutes to investigate the forces of air and air resistance. A sundial and a rotating Earth-and-Moon model shows students the force and motion of the planets and sun. Students learn about momentum by constructing a crash-test simulator and an airbag-testing station. 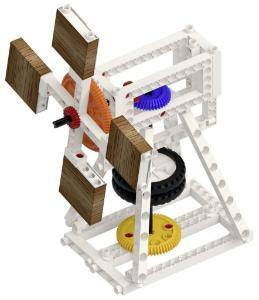 A buildable, working gear train explains how gears transmit and alter forces.